The 2017 Chrysler Pacifica is coming as all-new models. Although it comes with the same name as crossover that was produced some time ago, this is a completely different type of vehicle. This model comes as successor of two models, Chrysler Town & Country and Dodge Caravan. New model comes with completely new characteristics, and will be a pretty much an upscale model, compared to its predecessors. It will be larger, more luxurious, better equipped and improved in many other aspects. Also, it will be available both in conventional gas-only and hybrid variants. The 2017 Chrysler Pacifica will come in the second half of year. The 2017 Chrysler Pacifica comes as all-new vehicle. It comes with plenty of latest design solutions and technology achievements from Chrysler. It rides on new platform, and features completely new chassis, which is quite larger, compared to Town & Country. New model is also significantly lighter. When it is about visual appearance, 2017 Pacifica comes way improved, compared to its predecessors. 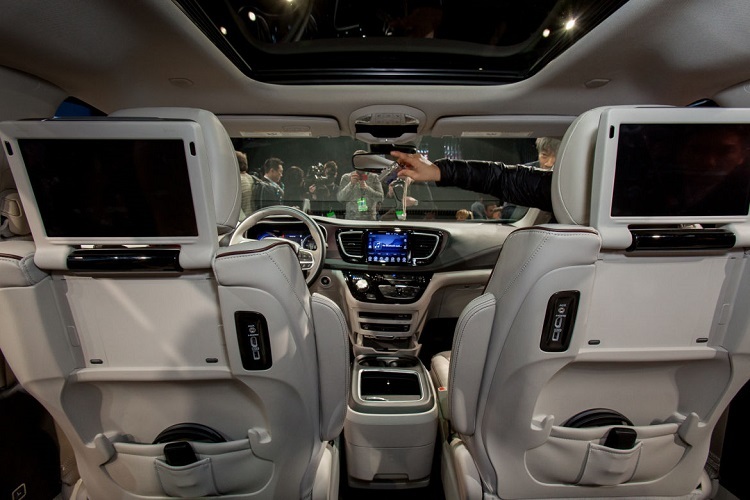 It is still a minivan, but its design is much sleeker and more sophisticated look, which is fulfilled with front end, which is completely adapted to the Chrysler’s newest corporative look. However, this vehicle is pretty much all about interior. New platform provided longer wheelbase and new cabin is larger. There are seven- and eight-seat configurations in offer. The cabin of 2017 Pacifica is extremely well equipped and we will mention just some, most notable features. There are things like 8.4-inch touchscreen, navigation, HD radio, premium audio system, 10-inch touchscreens in the back for watching movies and other ways of entertainment, panoramic sunroof etc. The 2017 Pacifica also comes well-equipped when it comes to safety and drive-assist features. There are systems like Adaptive cruise control, forward collision warning, lane departure warning, parallel parking assist, blind-spot monitoring and a 360-degree view camera, all offered as standard features. 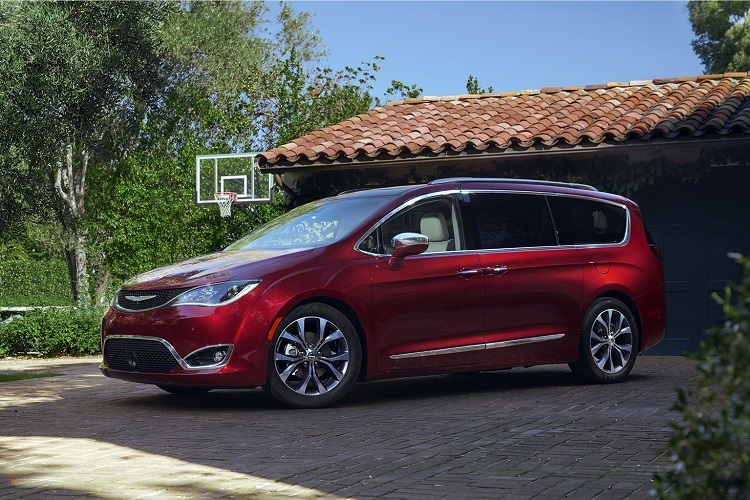 The 2017 Chrysler Pacifica will be available in two variants. Base model will be powered by 3.6 liter Pentastar V6 engine, which has around 290 horsepower. Pacifica Hybrid will come with same engine, which will be complemented with two electric motors and 16 kWh lithium-ion battery, which will provide 30 miles of range in all-electric mode and recharging time of 14 hours. Finally New model will come somewhere in the second half of year. Base 2017 Chrysler Pacifica is expected to go around 30-35.000 dollars.